The anticipation of accountable care organizations, as well as other regulatory changes, is triggering a frenzy of mergers and alliances between hospitals and physicians; several neurologists discuss the challenges they face after merging with other physician groups. Clifford Segil, DO, had only been practicing at his multispecialty group in Santa Monica, CA, for twelve months when the practice decided to join the University of California Los Angeles (UCLA) Faculty Practice Group. As of Jan. 1, instead of working in a group of 30 physicians, he became part of the more than 2,000 doctors who comprise the UCLA Health System. Although his day-to-day routine has not yet been interrupted, he realizes that he will soon need to convert to a new electronic health record, that his billing department will change, and as much as he likes practicing in the community in which he grew up, he can only hope that he will be allowed to stay in his office adjacent to the hospital he recently joined. Dr. Segil is one of a growing number of neurologists who will need to adjust to a new administration and significant practice changes in the upcoming years due to the advent of accountable care organizations (ACOs). The concept of an ACO, which is evolving and still vague, was spawned by The Patient Protection and Affordable Care Act of 2010, which directed the Centers for Medicare and Medicaid Services to create a national voluntary program for ACOs by January 2012. An ACO is loosely defined as an entity — comprised of primary care physicians, specialists, hospitals and other facilities — that will be “held accountable” for providing comprehensive health services to a defined population, and will be jointly responsible for its quality and cost of care. The anticipation of ACOs, as well as other regulatory changes, is triggering a frenzy of mergers and alliances between hospitals and physicians eager to share in the incentives and avoid being left behind. Physicians across the country, neurologists included, are getting swept up in the consolidation, and many others are considering their options in this uncertain health care environment. While it is almost inevitable that practices that want to survive in the next five years will need to make structural changes, they cannot be successful without considerable planning and due diligence. William S. Henderson, administrator of Upstate Neurology Consultants, LLP, a group of six neurologists, is in the process of completing a merger with another similar size neurology group in Albany after lengthy negotiations. Although the advent of ACOs, per se, did not contribute to the groups‘ decisions to consolidate, the changing regulatory environment certainly played a role. “We anticipate that our merger will make it easier to recruit new neurologists and strengthen our ability to negotiate better reimbursement rates with insurers,” said Henderson, who is a member of the AAN Medical Economics and Management Committee and a director of the American College of Medical Practice Executives, the certification body of the Medical Group Management Association. Stuart B. Black, MD, chief of Neurology, and co-medical director of the Baylor University Medical Center in Dallas, TX, warns that neurologists must consider whether they will need to join a larger system, or alternatively form their own organization such as an independent practice association or physician hospital organization to contract and network with ACOs. “But most physicians have no understanding of what this is all about and what impact it could have on their future,” he said. “They understand the term but not the complexity it entails.” ACOs will have to develop internal peer review procedures, manage outcome and report quality measures, control medically unnecessary services, and meet financial targets, Dr. Black, who chairs the Texas Neurological Society's Medical Economics Committee, explained. “These tasks will require a very sophisticated actuarial model and analyses that physicians aren‘t trained for or prepared to do,” he said. Mergers can be fraught with pitfalls, not only for the physicians like Dr. Segil who are joining larger systems, but also for the more sophisticated institutions that are acquiring them. “UCLA is still working through the complications of consolidation,” said Marc R. Nuwer, MD, PhD, department head of clinical neurophysiology at UCLA. Likewise, human resource changes were more complex than Dr. Nuwer had originally appreciated. For example, none of the lab's staff were registered polysomnographic technologists. Job descriptions had to be rewritten, and the staff was asked to apply for the “new” positions in the UCLA system. In the end, he hired none of them, and had to hustle to find replacements, still a work in progress at the time he spoke with Neurology Today. Dr. Nuwer is integrating the three sleep labs so that patients are able to go to any and obtain comparable services. “The dozen reading physicians have to be able to access the lab and interpret recordings from any lab,” he explained. UCLA also had to renegotiate all contracts with outside vendors, some of which required significant changes in prices and services. The department internalized some previously outsourced services such as security and linens. Billing changes required adding new reading physicians to UCLA carrier contracts, teaching their charge entry staff the new system, and creating new super bills. Several newly-employed physicians moved from salaried positions to RVU-based incomes. Administration had to straighten out the previous global billing policy, so as to attribute to providers the work they actually did (mostly professional fees for labs). “On the university side, it is no cakewalk,” he concluded. While Dr. Segil is encouraged by the improved ease of transferring complex patients to the subspecialists in his new department at UCLA, and looking forward to leveraging the neurology department's expertise in neurological reimbursement, he is finding it challenging to navigate his new mega-institution. “It has taken me weeks to figure out how to get business cards and know who to call to approve the purchasing of supplies,” he observed. “Every neurologist in practice today needs to take a hard look at their situation before speaking to anyone,” advised Henderson. “You need to think about what you want in terms of quality of life, years left in practice, and your financial position, so that you can be better prepared when you are eventually approached,” he cautioned. He believes that in a perfect world, if neurologists were able to get together as a group instead of being bought up, they‘d have the most to gain. “The large multispecialty groups and hospital systems don‘t understand the needs of neurologists, and neurologists who are acquired will have to be ready to adopt a totally new culture,” he said. 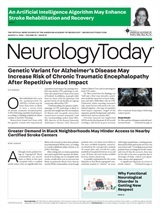 Neurology Today11(8):17-18, April 21, 2011.